Do you enjoy camping or want to find ways to make the most of an upcoming camping trip? 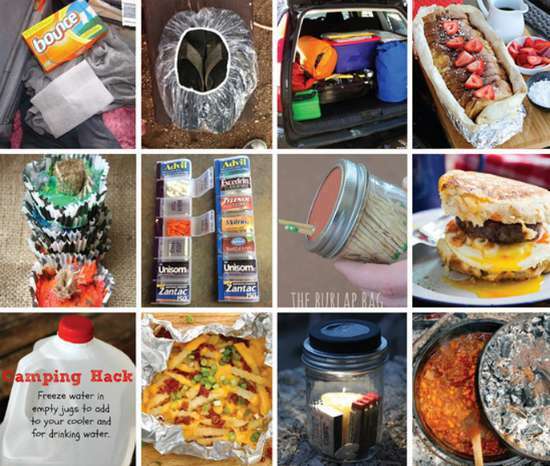 You might be surprised to know there are many genius camping ideas that can be used on your next trip. Most can easily be done when you are preparing all of your supplies for your trip. There are many benefits to using a variety of genius camping ideas when you are planning a trip. If you have limited space, then a few tips and ideas can be used when packing clothing and other supplies. There are also a lot of recipes that you can use if you have a small selection of food. The genius camping ideas that you use depend on many factors. Many ideas can be applied if you are low on space in your travel vehicle. This includes keeping a notebook to indicate where you have your provisions stored and the quantity that was packed.